Question: When I push the 'Export Submitted Forms' button, it exports fine into Excel, but each field isn't tab delineated. So, when I open the Excel sheet, all the info is in one cell. Is there any way to change that? Answer: This is a common question that we hear. 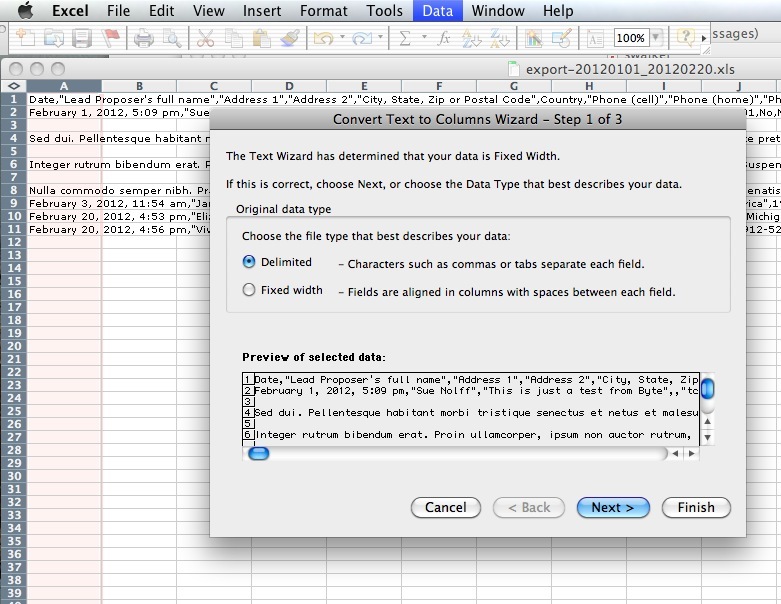 By opening the exported xls (csv) file directly in Excel, all of the data will open into one column, by default. There is a simple command you can use to separate that data into columns. 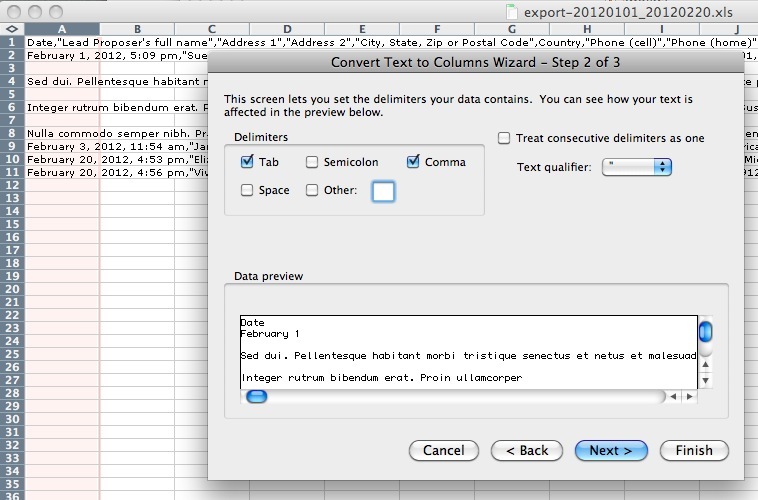 It is appropriately named "Text to Columns," and can be found under the 'Data' menu. Following are step-by-step instructions. Here is a handy Youtube video on the subject as well. After you open the file in Excel, hightlight the first column. You can do this by double clicking on column A at the top. If you have multiple columns selected, the "Text to Column" command won't work. Then go to the 'Data' tab, and select "Text to Columns." In the popup, choose "Delimited" on the first screen, then click "Next." On the next screen, be sure to click the "Comma" check box. That's it! Click "Finish" in the lower right and you will have the data nicely formatted in Columns and Rows.